For this card I white heat embossed the heart and chevron pattern images from Simon's I See You Stamp Set on a notecard made from Neenah Desert Storm Cardstock. I used my Zig Clean Color Real Brush Markers to colour in the heart. I stamped the sentiment on a piece of the My Mind's Eye My Story Patterned Paper, cut it out, and adhered it over the heart. I then adhered a piece of Simon's Black Cardstock and a strip of My Mind's Eye My Story Patterned Paper near the bottom of the card. Finally, I die cut one of Simon's Mini Hearts, colored it with my red Zig Clean Color Real Brush Marker and adhered it to my card. Love how colorful that heart is. Very pretty. Love that rich coloring on kraft! Love your card..looks eclectic, country vibe. So cute. This SSS card kit is awesome. Please pick me. Really love your use of color on this card. Just beautiful. Ooo I love this card!!! Yet another fab way to use this Kit! I can't wait until mine arrives! Your card is beautiful! I especially love the angled cardstock and gorgeous chevron stamp! I've done all the hops and have fallen in love with this kit! Crossing my fingers in your giveaway! I LOVE how you designed this card! That pop of color on kraft...and the black on the bottom--perfect! LOVED it! I am excited about the heart so I can do just what you did. Love the stained glass look. What a pretty card, love all the colours and the base card just shows how colourful this heart is!!! I can't wait to get that heart stamp!! I love the coloring you did. Wow!! That heart image just pops the way you colored it! It looks wonderful against the kraft card base. You are rockin' this card kit! love the bold colors on that heart! This looks so amazing with all the colors and the white embossing! You make this card kit look even more fun!! oh eeps. the multi colors look challenging and pretty. I am loving this card. Thanks for showing that the kit is very versatile. I love the bright colors on the kraft card and the white border on the bottom. 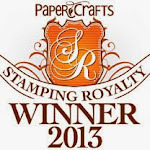 Thank you for the chance to win and for the great ideas using this stamp set. Fabulous card. That heart is gorgeous. I absolutely love that heart stamp! It looks amazing with all those bright colors!! Another stellar card, Sarah. Awesome! Sarah, I REALLY love the cards you have been making but this one is my absolute favorite. 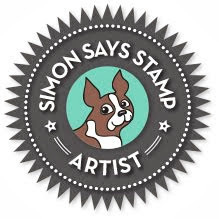 Such a versatile stamp! I love this kit. Your vibrant card design is simply fabulous, love it!!! Love the heart on the card! Great Kit! Fabulous, vibrant colors on this! I love it!! Oh I love this heart!!! Love this bright heart, Sarah! I'm suprised at how well the Zigs showed up on the kraft CS. Great kit! Thanks, Paulette S.
since google thinks it's important to keep me merged with my outdated and expired information blogger profile for a blog moved to WP in 2012, they don't care to edit or delete it for me, nor will allow me to do so. 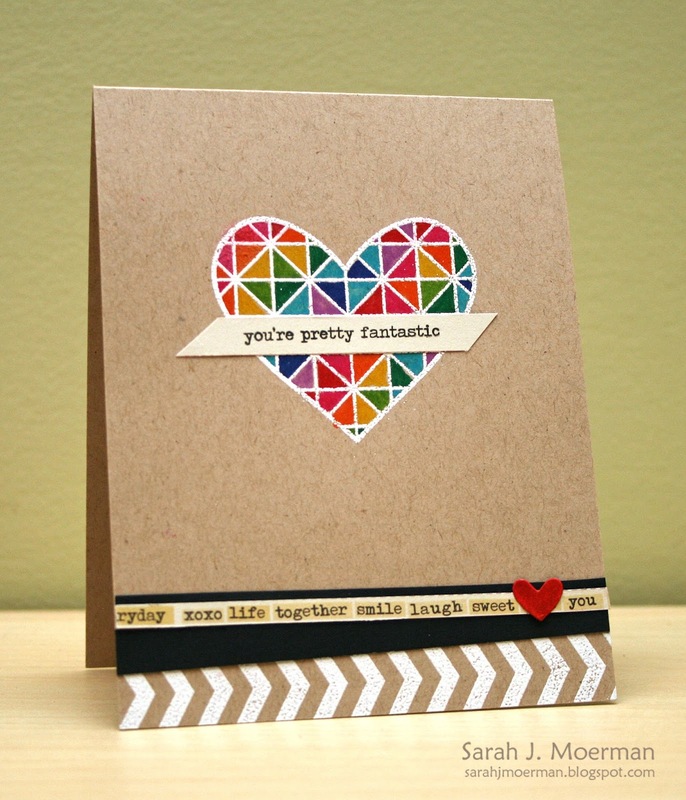 Love your card and the brightly colored heart. So cute! Gorgeous!! Love the colorful heart on kraft & LOVE that heart!! Wow Sarah, this is so cool!! I would never have thought to use my Ziggies on kraft CS, they have such a bright effect. Totally have to give this a go, thank you so much for the inspiration!!!! Loved this heart stamp when I saw it...you just makes it shine. Love it! WOW... I love your CAS card! Love the colors inside the heart, so pop!